The Rwanda Genocide Teachers' Association enables teachers to work alongside students, parents, and teachers so that they may share skills on Genocide studies, build teachers capabilities, promote human rights, and national/international understanding on Genocide in order to make the world a better place. The organization (RGTA) is a Rwanda based Association that facilitates the teachers to acquire different skills in teaching and learning Genocide studies so that they can perform their teaching job perfectly. RGTA has strong genocide ideology alleviation focus, and is committed to working with disadvantaged groups to help them to improve their post genocide lives. RGTA is nonprofit Association that does not fund or manage the projects. Its resources are its members: Skilled and experienced teachers, men and women who are in –service. They are from a variety of schools in the whole country, and have the qualifications and experience for in the assignments they are required to do as far as teaching about Genocide is concerned. They are motivated by the desire to help others and learn about different individuals and behaviors in teaching/learning environment .They are eager to work and share skills with others .All the Association members work in Education sector, as teachers, teacher trainers ,methodologists, education policy advisors. The Association members also participate in social activities that aim at peaceful living among Rwandans. Our program was opened on 29 /9/2011 and the official activities started. 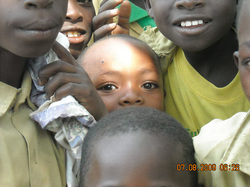 RGTA works with schools and Rwandan community in the whole country. The majority of Association members are teachers of arts subjects. They carry out their activities during teaching periods and holidays. The RGTA program is solidly based on both formal education and informal education. The RGTA would be interested in working with local/ international NGO’s and community organizations. The Association leaders spend time researching the potential for RGTA involvement in the focused areas.